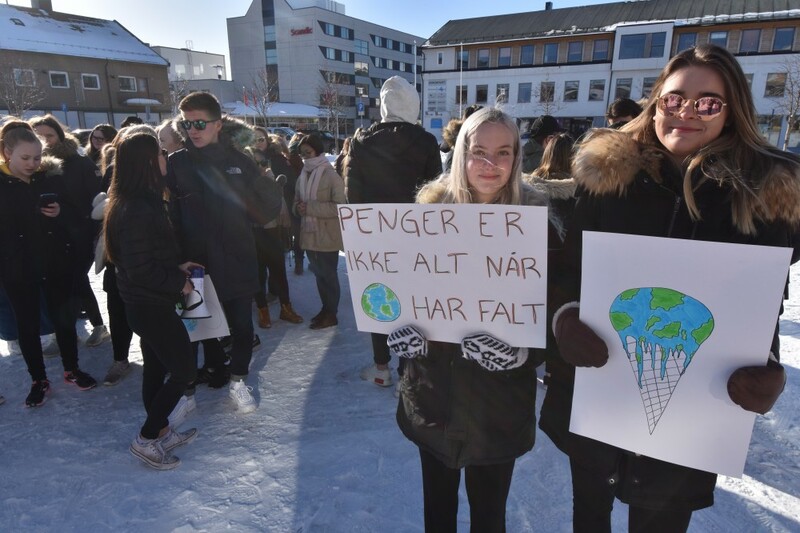 «Why go to school today if the world is screwed tomorrow anyhow?» one of the teens asked rhetorically from the crowd of striking students from the upper secondary school on the central square of Kirkenes in Norway’s Arctic region on Friday. 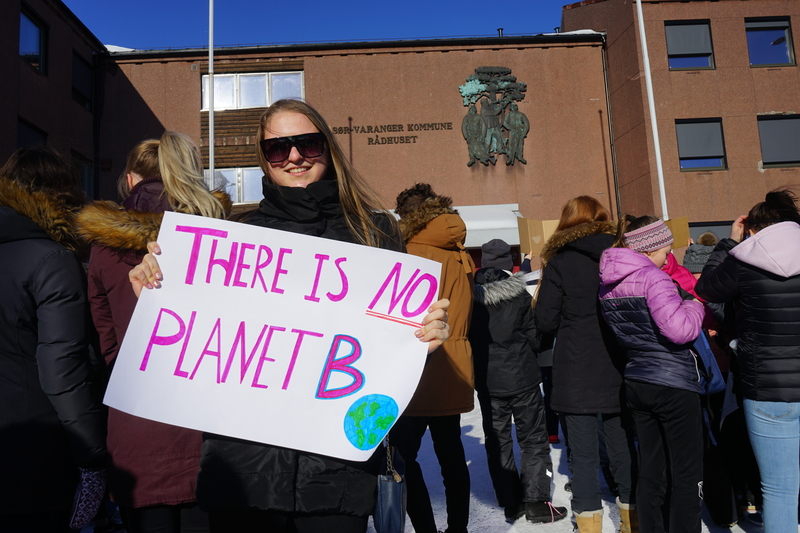 Carrying slogans such as «There is no planet B» and «Climate requires action» the students skipped school to call for urgent action to stop climate changes. 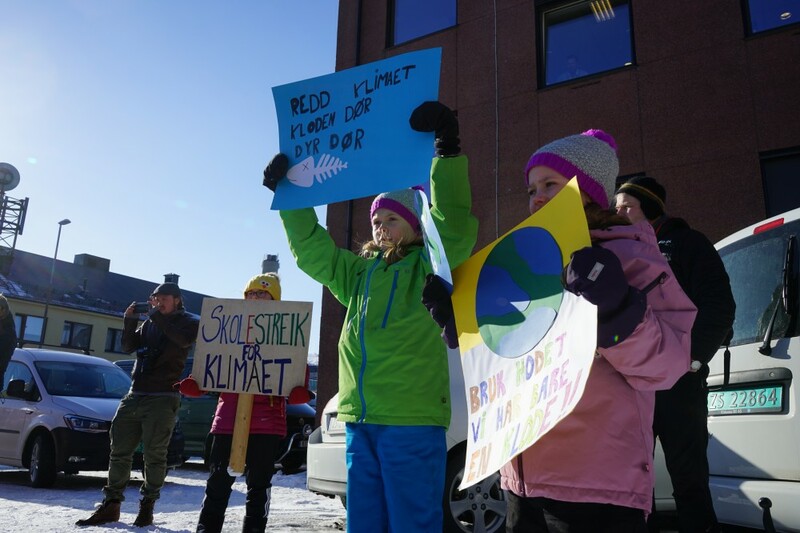 The school strike in Kirkenes is part of Friday’s nationwide mobilization among schools in Norway following the global wave of kids protesting the lack of action among politicians and other grownups to take climate action now. 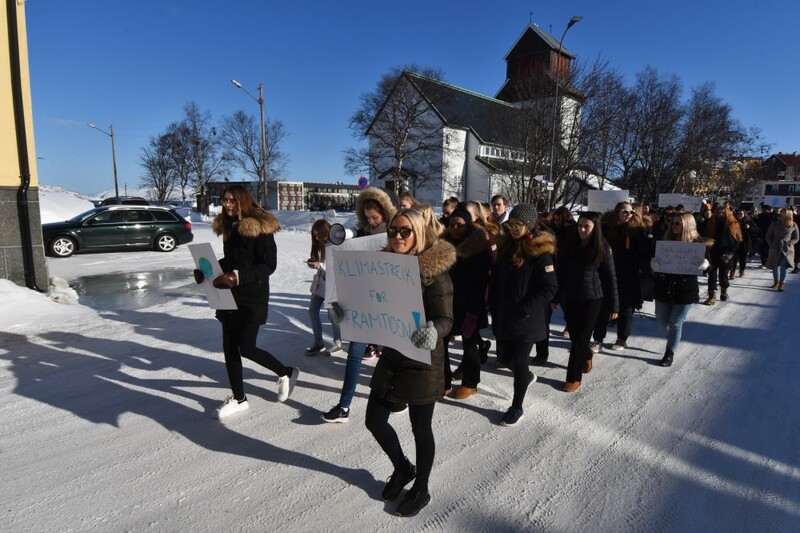 «We, in a small town in Northern Norway, above the Arctic Circle, are inspired by what youths around the globe are doing,» says Sofie Gade-Lundlie Tallberg, one of the youths carrying slogans as the protest march made its way around the town. 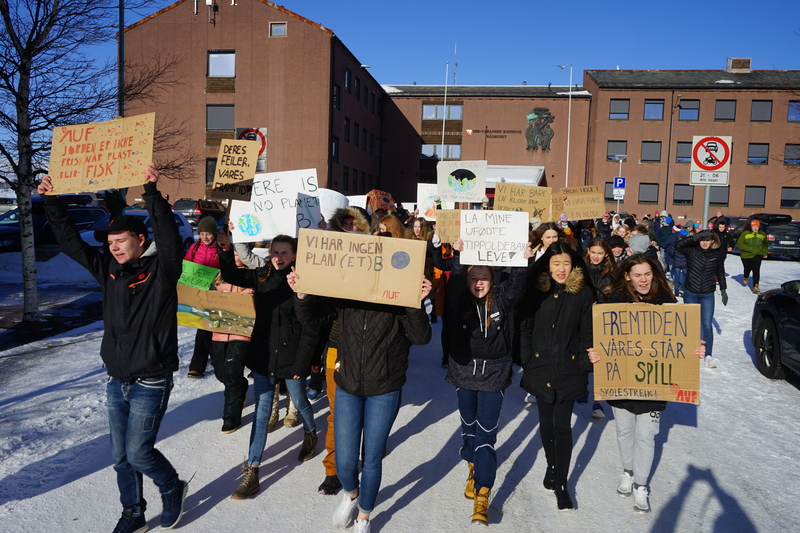 Similar protests took place in Oslo, Trondheim, Hammerfest, Tromsø and hundreds of other cities with tens of thousands skipping school in Norway. «We need changes and we need them now,» the striking youths shouted. The global school strike for climate movement was inspired by 16-year-old Swedish activist Greta Thunberg who last year announced she would go on strike every Friday as long as it would take for the government to take needed action against climate change. In the start, Greta was lonely outside the Swedish Parliament. Last Friday, more than 1,5 million students went on school strike in more than 120 countries. The amazing turnout continues this Friday with students under voting age skipping school and taking to the streets in most major cities in Europe. In Norway, the ecological group Nature and Youth estimates that some 40,000 have participated around the country. That makes it one of the largest demonstrations ever in Norway. 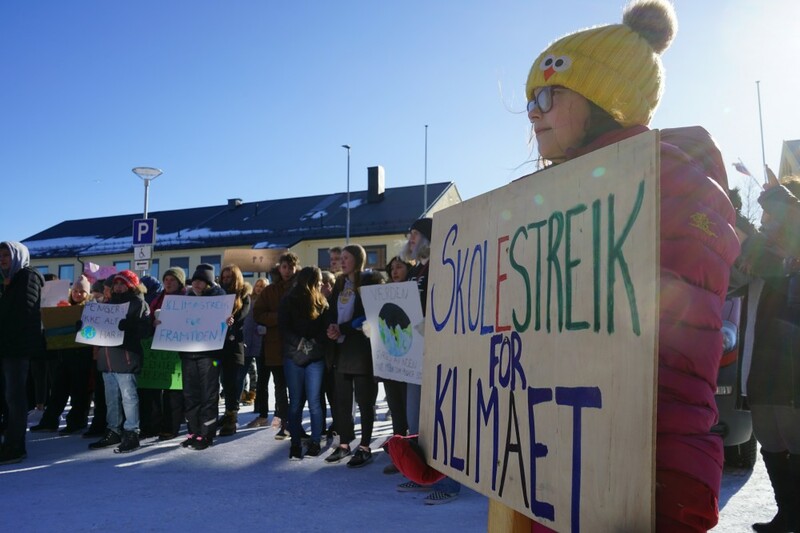 «We are facing a global catastrophe, changes are needed and that requires actions, not only talks,» Sofie Gade-Lundlie Tallberg argues from what is likely one of Europe’s northernmost school strikes.